Lower profile than the Liberty™ but with increased intensity puts the Legacy a step ahead of all other lightbars on the market today. Height without mounting feet is only 1-5/8. Newly designed, high-output linear combo Multi-Angled corner modules produce light forward, rear and at the critical 45° angles. The four combo modules produce 360° warning signal. All warning lightheads are true DUO+, whether one color or two. Each segment can be operated independently or at the same time, creating the first true DUO lightbar, without loss of intensity. Ideal when you want to run a Traffic Advisor™ and rear warning at the same time, giving the performance of two lightbars in one. 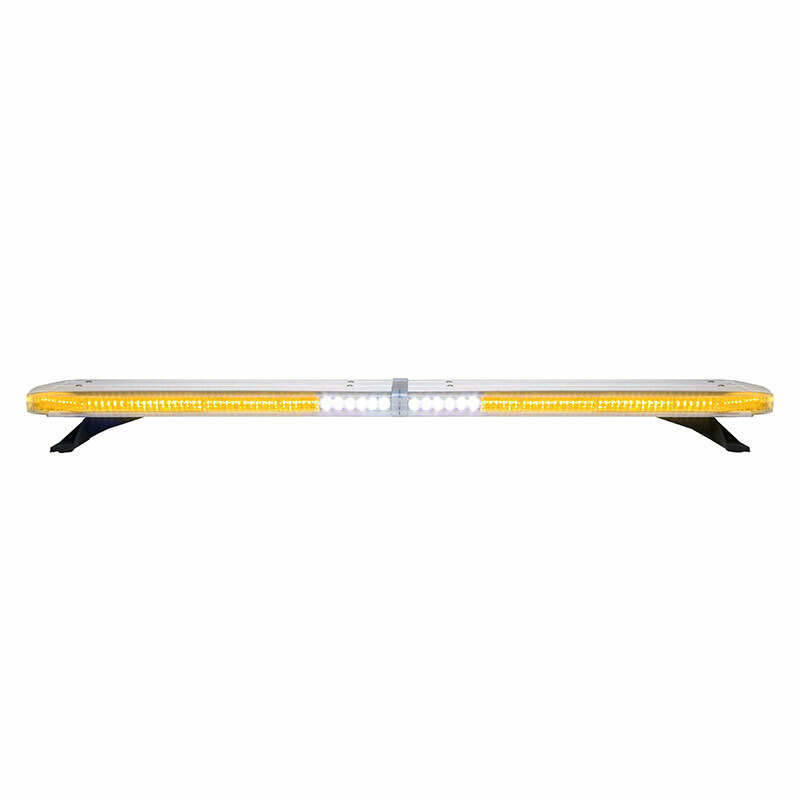 Optional alley or DUO+ integrated alley and warning light module ensures no dead spots, no gaps—360° of contiguous light. Only DUO+ lets you operate the alley and the warning lights at the same time, at full intensity. DUO+ technology and Advanced Thermal Design ATD provide attention demanding new flash patterns for more lighting on-time. 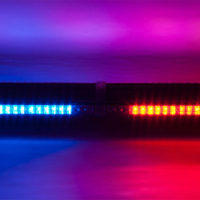 These include SteadyFlash™͟ for use at nighttime traffic stop/accident scene for added protection for officers. ATD reduces the stress on the LEDs themselves, when the dwell time of the LEDs is extended. Legacy plug and play into the CenCom Sapphire™ or CanTrol™ controller. A WeCan controller module is supplied for use with other switch centers from the lightbar. Hard-coated lenses shrug off environmental UV damage from the sun, salt and road chemicals. Optional photocell to automatically dim at night and still meet SAE Class 1 requirements in low power mode. Standard lengths: 44 (110cm), 48 (123cm) and 54 (136cm).